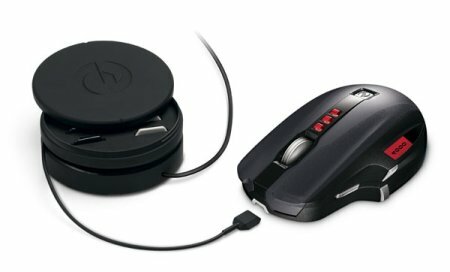 A gaming mouse that does not come with wires? Well well, this is definitely going against the grain, but Microsoft doesn’t care as they forge ahead with the SideWinder X8. This wireless gaming mouse relies on a 2.4GHz connection to keep it moving, and it is capable of hitting a ridiculously high 4,000 dpi to match the Razer Lachesis. I am personally using a Lachesis, and I don’t venture anywhere near that amount since it is way too sensitive for me in the midst of a firefight. The SideWinder X8 relies on the recently unveiled BlueTrack laser technology that makes mousing possible on virtually any surface. Microsoft has also touted a 30 hour battery life for active gamers, but I would make sure the battery is fully charged if I’m going to enter any gaming competition with this. Good to know the SideWinder X8 comes with a play-and-charge cable for those emergencies. You can pick up the Microsoft SideWinder X8 for $100 next February.